The annual Jewellery and Gem Show, across the weekend of 24 and 25 September, is a family event - come along and shop, look, learn, experience and explore the fascinating art of Lapidary. 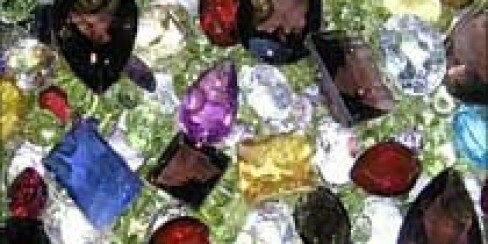 Purchase bargain jewellery and gems at wholesale prices. There are items costing from a gold coin through to investment pieces and they have something for all tastes, all budgets and all ages! Featuring international designs, gems and rough from Master Jewellers, Gemologists, importers, hobbyists, miners, craftsmen and collectors, as well as tools and supplies. View their workshops, demonstrations and displays. Talk to the experts and enthusiasts. Learn how to facet, cut and polish, even work with precious metal clay! Kids are invited to participate in "Kids Corner Activities" and "Fossicking Adventures". Win great raffle prizes with over AUD5,000 in prizes. For those not wanting to purchase jewellery or gems, there will be static displays of prize winning lapidary work from across the Coast and beyond, in addition to the vast array of demonstrations in addition to an array of quality local art and craft. There's something for everyone so don’t miss out on this low-cost, family-fun adventure. More details are available on their website, or a brochure is available.